Pilbara Minerals has exercised an option to enter into a joint venture (JV) with POSCO for the development of a lithium processing plant in South Korea. The downstream chemical conversion facility would have a capacity of up to 40,000 tonnes lithium carbonate equivalent (LCE) per year and process spodumene from the Pilgangoora project in the Pilbara using POSCO’s PosLX purification process. 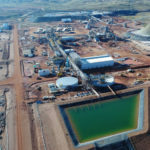 POSCO, originally an offtake partner of Pilbara Minerals, has developed its first commercial-scale operation, which produces up to 2500 tonnes lithium chemicals on an LCE basis every year. The plant has a dual-capacity to produce both high-grade lithium hydroxide or lithium carbonate products with low impurities in the final products. The South Korean steelmaker is growing its capabilities as a producer of battery-grade products and cathode materials for the expanding battery materials market in Asia. Benchmark Minerals Intelligence data from October last year shows Korean battery manufacturers will supply around 25 per cent of worldwide capacity by 2028. “We are proud of the relationship we have developed with POSCO over the last year, which has gone from strength to strength as we continue to work through the joint venture development process,” Pilbara Minerals managing director Ken Brinsden said. 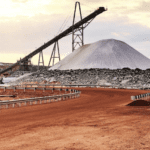 Pilbara Minerals has been undertaking technical due diligence to assess the plant development since the last quarter of 2018. The company will complete further due diligence on the proposed plant, financing and finalisation of the 30 per cent JV prior to the board’s final investment decision by March 2019. 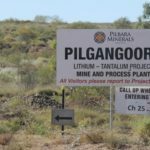 “For Pilbara Minerals to have secured a strong and technically capable partner like POSCO is no mean feat and gives us an exciting opportunity to partner with them to enter the battery grade and cathode material product supply market and become a fully vertically integrated global lithium raw materials company,” Brinsden said. The conversion facility will be located in the Gwangyang Free Economic Zone in South Korea, which is adjacent to POSCO’s Gwangyang steel mill.